Glitter Powder for Wallpaper,Paint decoration,Coating, Screen printing, Plastic,Craft,Toys etc ! 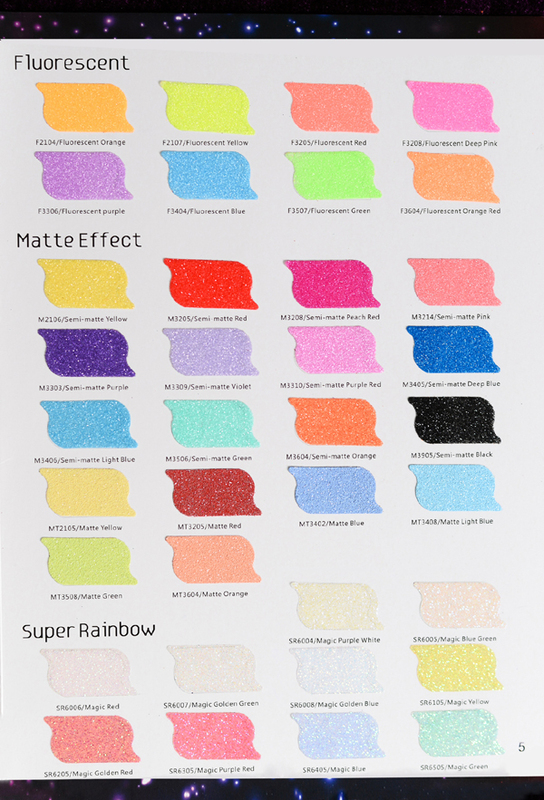 : Color Chart for Glitter Powder - NEW!! 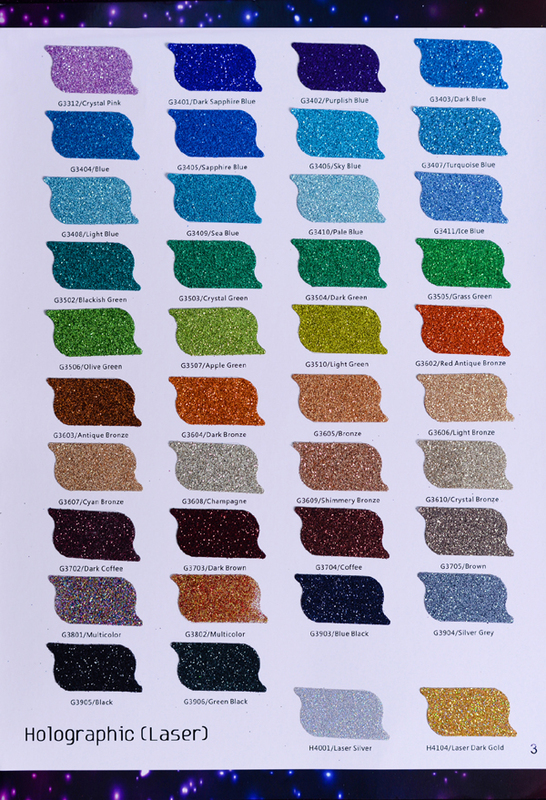 Glitter Powder for Wallpaper,Paint decoration,Coating, Screen printing, Plastic,Craft,Toys etc ! We are the manufacturer Specialized in Pearlescent Pigments and glitter powder.---Visit www.LEIO-INDU.com for more information! 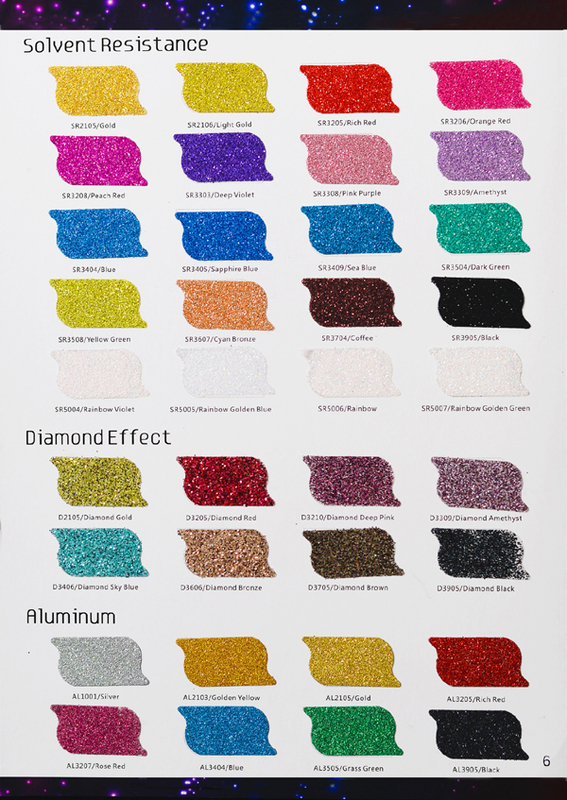 Color Chart for Glitter Powder - NEW!! 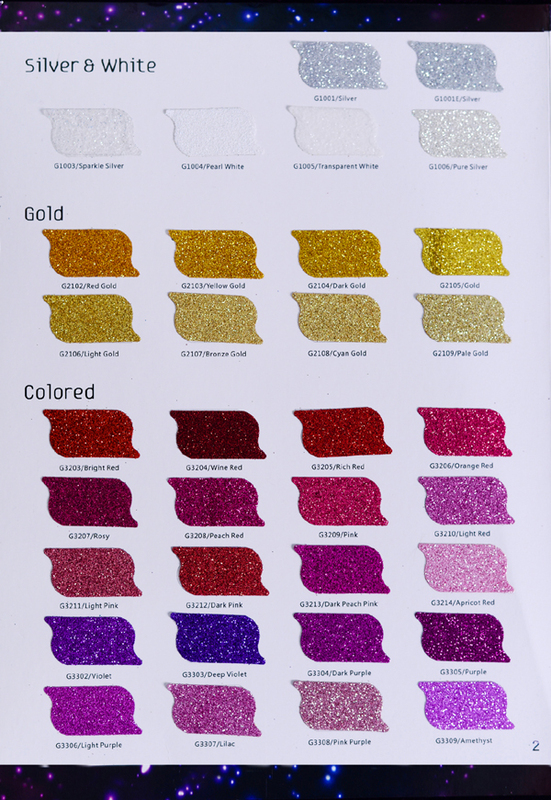 Leio now have a new color chart for glitter powder. There are many new colors to satisfy your different requirement. 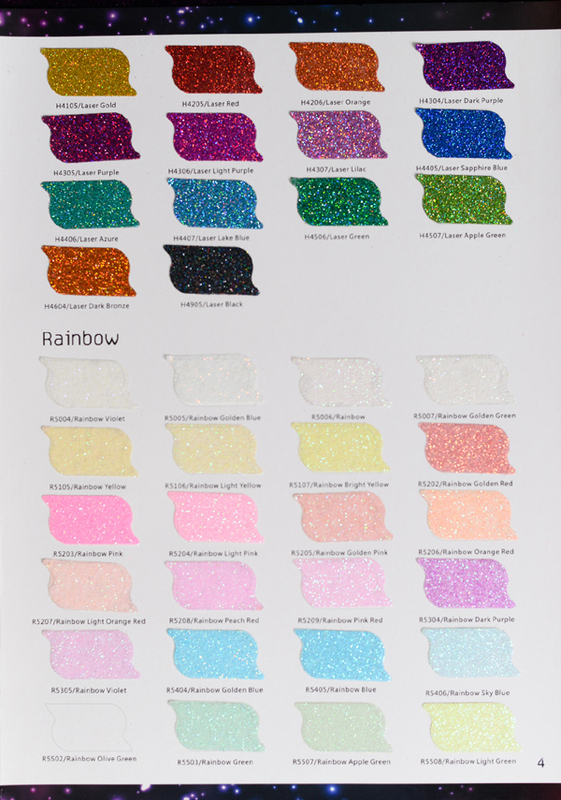 Leio launch new glitter powder especially for shoes. 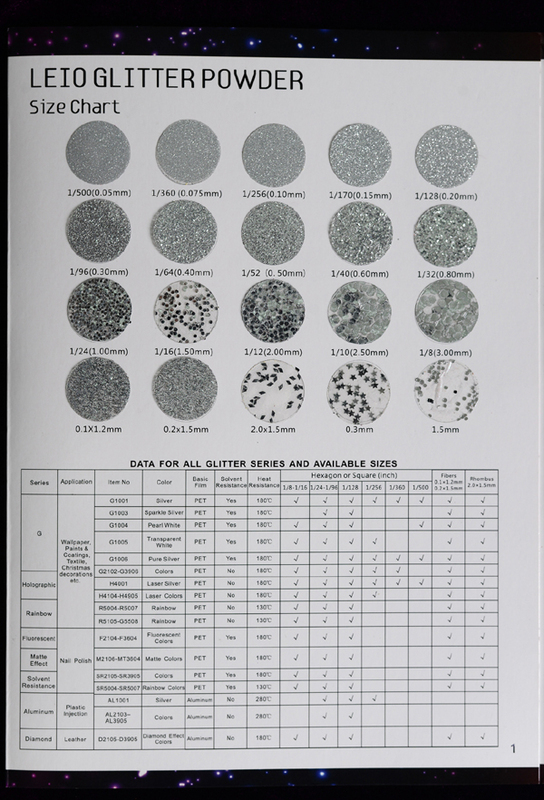 What is the glitter powder grades? 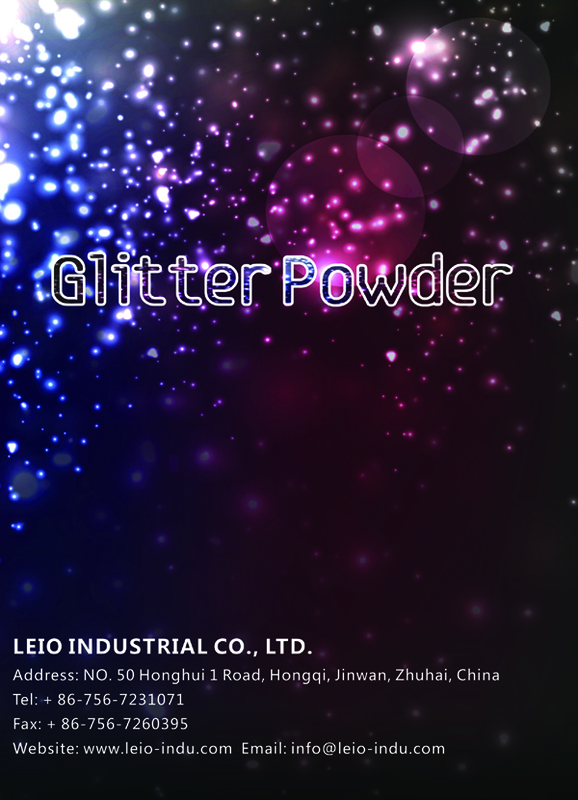 Leio now have a new holographic glitter powder. It has intensive holographic effect colors, especially suitable for nail.